How Much Do Musicians Actually Earn? Being a musician doesn’t always mean fast cars and fancy mansions, but it’s entirely possible to make a living and have a very fulfilling lifestyle. The big question of course is “how much do musicians actually earn in a year?”. 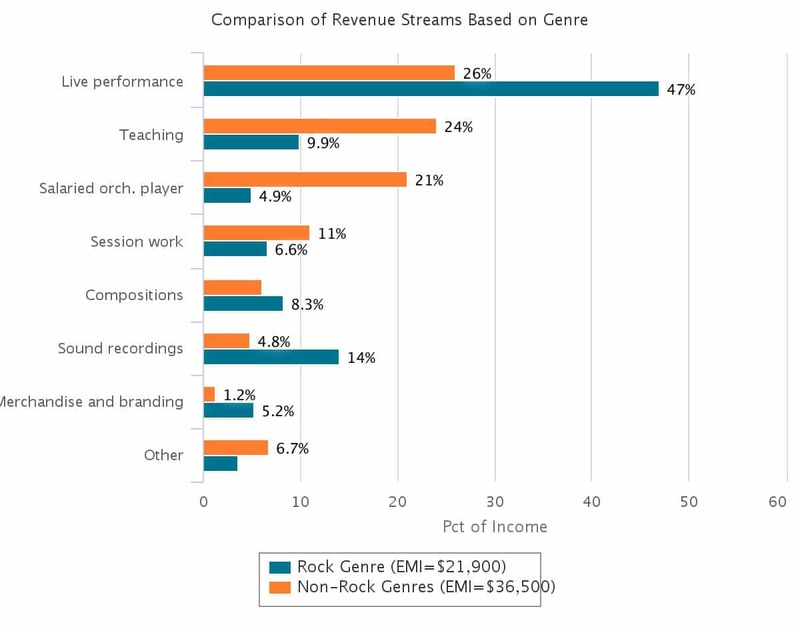 We found an insightful study done by Future of music that compares the income of “indie” musicians across genres, age ranges, years experience, and gender. To be fair this data is a bit on the old side (2011), but we found it fascinating and still very relevant. 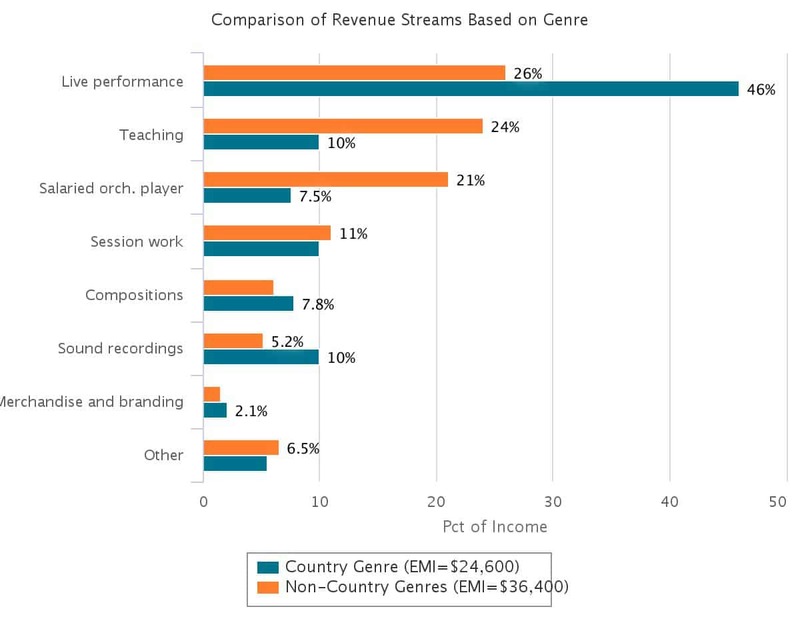 In summary, the average working musician earns $35,300 USD gross revenue annually from their music career. 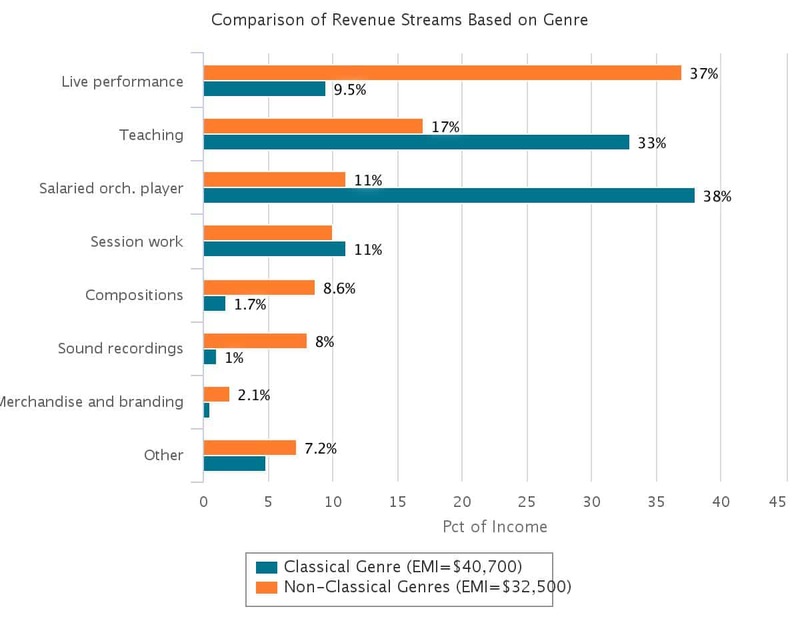 However, the most important caveat to that number is that only 33% of study respondents make at least 75% of their income from music related sources. This means you can make additional money in fields outside of music and then bring in a sizable amount of supplemental income as a musician. 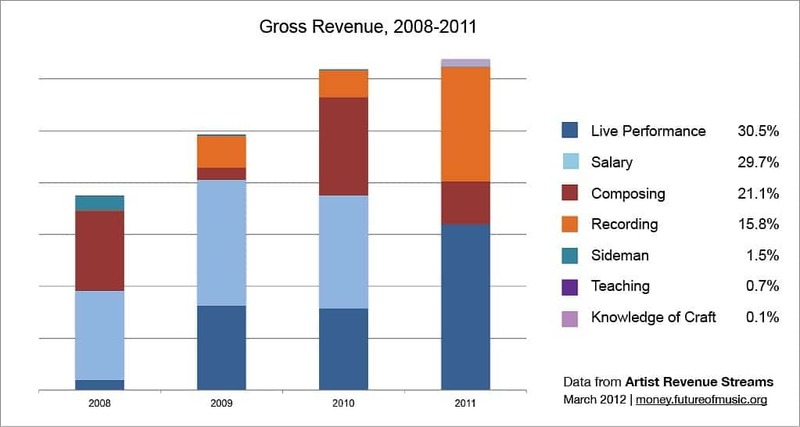 The pie charts below show aggregate gross income, and the related expenses for 2008-2011. The pie chart for expenses has been scaled visually to represent that expenses consume about 53% of gross income. The table below provides details about expenses from 2008-2011. 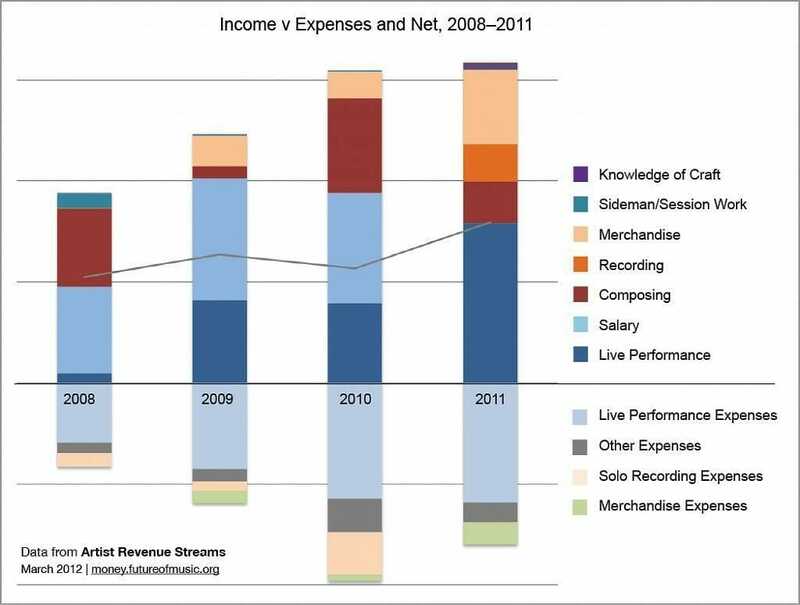 After expenses and taxes, it’s estimated this musician will bring in around $12k in Net income. Not a huge number, but still not bad if you consider it supplemental income. 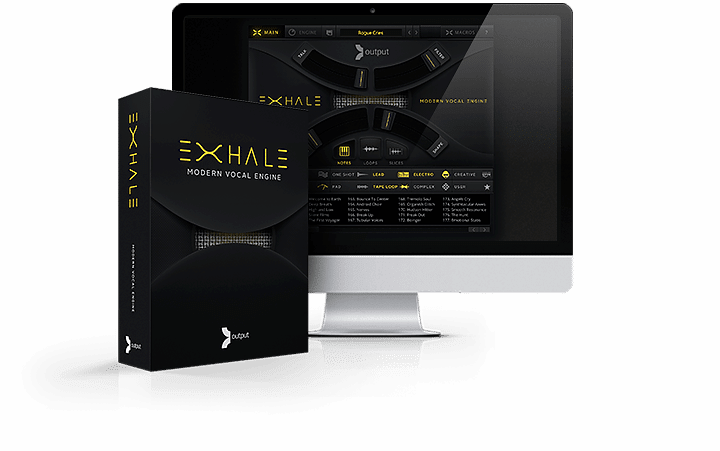 Plus, all of your gear purchases like software (wink wink) are tax deductible helping lift your Net income. And as the study suggests, the older you are and the more experience you have, the more money you make. Pretty simple and on trend with life in general. So what does this all mean? Get out there, make music and work as hard as you can to create the life you want to live. The life of a musician is not the easiest route, but it’s definitely rewarding. 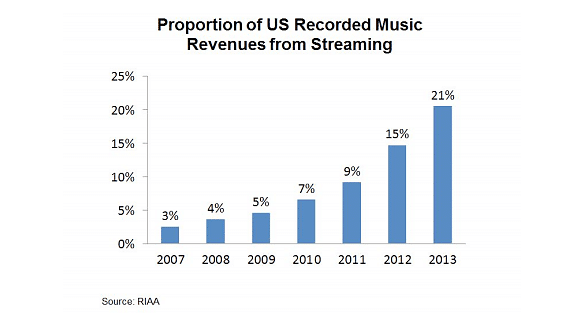 The way musicians are being paid is quickly shifting to revenue from digital download and streaming. The two charts from Copyright.gov show a 26x increase in digital downloads from 2004 to 2013. 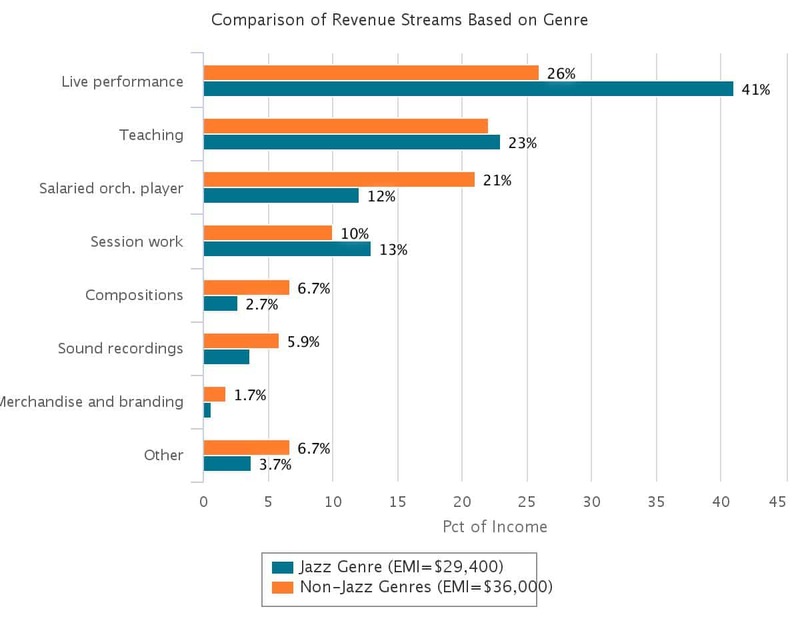 A new source – subscription & streaming – appears in 2013 accounting for 21% of a the artists revenue, and physical sales now only account for 35% of the artists revenue. 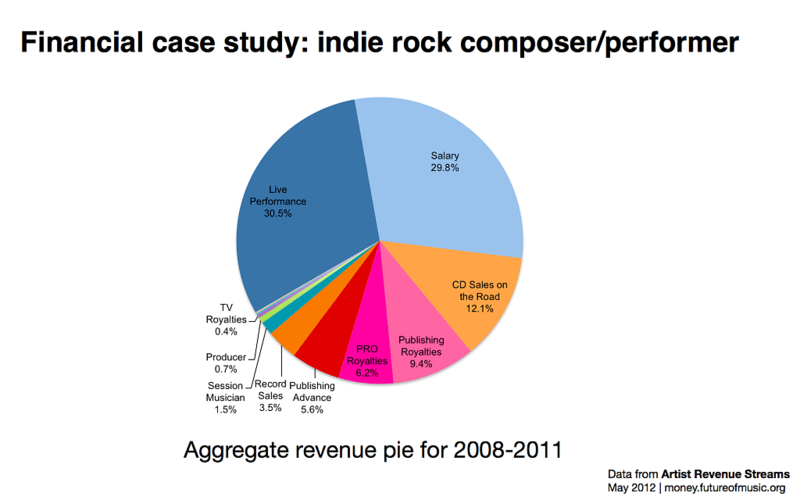 These numbers are based on 2008-2012 wages, a sample size of 4,453, and a case study of a single indie musician. We strongly recommend diving deeper in to the full report. A study conducted in 2014 by the U.S. Copyright office regarding the current state of affairs in the industry. The report touches on all aspects of income including physical, digital, licensing, publishing, and more.